If you are a parent, and you keep up with the news, or are on social media, then you must have heard Today Show host Lisa Wilkinson’s comments about how parents who allow their children time on an iPhone/iPad are “crazy”. And you must have seen/read the resulting hoo-ha from parents all weighing in on her “extremely judgemental” remarks. I’m going to be straight- I totally agree with her. Trust me, I understand how parents can be driven to simply pass on such devices to their children, but I have come to the firm belief that simply ‘surviving’ parenthood, and therefore doing whatever it takes to ‘survive’ it, is just not a good enough standard to hold ourselves to as parents. And this last part applies to many, many other decisions we make for our children, from their birth onwards, beyond what we feed them. There is an absolute wealth of information on how screen time is affecting children’s brain, spinal and mental well-being. Take this one from Psychology today that claims that children who are diagnosed with everything from weak memories, to depression and ADHD can be helped by going on an “electronics fast”. It then goes onto highlight “six physiological mechanisms that explain electronics’ tendency to produce mood disturbance.” So when somebody is simply delivering the truth that any parent who allows their child to be exposed to such harm, I cannot fathom how parents can still shoot back with, “I’m just doing what I can to SURVIVE. So I can get things done. So I can get some peace.” Or that she is just being incredibly judgemental. As I said above, and I have made this mistake myself (of excusing my parenting decisions with the ‘survival’ reason) so I’m not sitting here on my high horse being Judgy-McJudgeson, simply aiming to “survive” as a parent is just not good enough. Do we suddenly justify giving our children McDonald’s and lots of pre-packaged food thus absolutely destroying their gut health, impacting their behaviour and so on and so forth, because we need to “survive”? Do we justify hours of time for our kids on iPads and iPhones so that we can “get things done”? Or just to get some “peace”? Even when we are out shopping, or at the doctor’s waiting room, do we need to shove a device into their hands to “keep them quiet”? Our generation used to complain about how our parents believed that children should be “seen and not heard” and they would simply yell at us to keep us quiet, and how we are emotionally scarred from this experience. What has changed? Aren’t we simply using the same line with our own kids, but worse, we are handing them a tool that will destroy their physical, mental, social and behavioural health? At least back in the day we were just yelled at but then we kept our eyes and heads up and were forced to observe the world around us, to be given the chance to absorb and reflect on what was happening around us, which gave us a chance to learn human behaviour and social skills. Maybe it even resulted in us, heaven forbid, getting bored at the GP’s waiting room, which would lead to us playing with the secondhand toys on the table (and no, our parents didn’t carry around packets of wipes and hastily wipe our hands after playing with such toys), and inevitably interacting with the other children in the same predicament as us. Or we just sat there. Doing nothing. Learning how to keep quiet because we feared our parents. Which apparently these days, is the worst thing that we can do to our children. Also, I’m calling something else out, God help me for saying this as I probably will be crucified for it, but, the reality is that there is A LOT of lazy parenting happening out there. I don’t agree that all parents are just doing the best that they can. Recently, I witnessed a well-educated mother allowing her TWO YEAR OLD daughter to guzzle down Coke. At the shopping centre, I have seen children sitting in prams holding iPads/iPhones on their laps while their mothers “get things done”. Everywhere I go, I see parents looking down at their phones, and sitting next to them, their barely five year olds looking at their own iPads. Don’t even get me started on 10 year olds or teenagers. We HAVE to be better than this. We HAVE to do better than this. For our children’s sake, and for our own sake. We have to stop making excuses for our bad parenting ‘decisions’. Because the reality is that we, as parents, as a community, are getting things horribly wrong with our children. And I’m not talking about the inevitable mistakes that we will make because we are not perfect people and therefore cannot be perfect parents. Even the best of us will get it wrong. What I’m talking about is the blind justification of decisions made for our children that are clearly and undeniably wrong. Like allowing them hours on a screen. And if you want proof, don’t just read the plethora of research out there talking about this, just observe our children. Look at their lack of social skills, look at their hyperactivity, look at their utter disinterest in the world around them, in their lack of manners, in their sense of entitlement, in their lack of empathy, in their lack of direction, in their lack of will to work hard. We are bombarding our children with so much that is not natural that they are turning into automatons. Look at the number of violent children who abuse their parents. Yes. This is happening. Or look at the rates of childhood obesity just in Australia. One in four children in Australia were reported as overweight in the period between 2007-2008. And if we’re honest with ourselves, adults are just as addicted to technology as our children are. As adults we don’t know how to responsibly use these devices that have overrun our lives in such a short period. How can we just hand them over to our children? Look, I could write so much more on this topic. But the ultimate point I am making is that we, as parents, really need to stop excusing our bad parenting decisions. We need to stop being so defensive and jumping down people’s throats about being “judgemental” because guess what? We actually need to learn how to positively and intelligently “judge” what is right, and what is wrong. We need to teach our children how to discern between what is positive, and what is negative, what is beneficial and what is harmful. And if we, as their parents, as their most important and foremost guide in their lives, lay out everything as “O.K” for them, allow them to eat whatever they want, allow them to play with whatever they want, allow them to watch movies and shows without questioning, how do they become adults who have the capacity to think critically and make the right decisions for themselves if they grow up in a world that is “judgement-free”? It is our responsibility and duty as their parents to make judgements about what is right and what is wrong for our children. Let’s have the courage to build each other up as a community to support the right parenting decisions. Let’s be honest with ourselves about how we are parenting our children, about how consciously we are making decisions for them. Let’s be courageous enough, and humble enough to take on board constructive criticism. In teaching, there is a type of teacher called the ‘reflective teacher’. This is the one who, after each lesson, spends time reflecting on what they, as a teacher, did right, did wrong, could have done better, could have done a different way. This type of teacher is generally the more effective teacher. We should be doing this as parents. I know that we are tired. I am tired. I know that daily grind and endless cycle of cleaning and cooking and dealing with fights and trying to go to work and get kids dressed and riding their tantrums can break us. But we need to remember that our children are an amanah (a trust) given to us by our Creator. And while we may not be questioned on our children’s decisions, we will most certainly be questioned on what we did for our children, on our intentions in raising our children. On how much we tried to raise good servants of Allah (swt). So let’s ask ourselves, and let’s be honest, are we doing the best we can as parents? *Disclaimer: No, my kids do not have any screen time on a device. They are banned from using iPhones and iPads. I had downloaded some ‘educational’ apps for J years ago, but found that she became addicted to them much too quickly and she literally turned into a different, wild, angry child, when I tried to take the device from her. So I simply deleted the apps and since then have simply reinforced that a mobile phone is not a toy. Screentime is making our kids moody, crazy and lazy. Screens in schools are a $60billion hoax. It’s digital heroin: How screens turn kids into psychotic junkies. 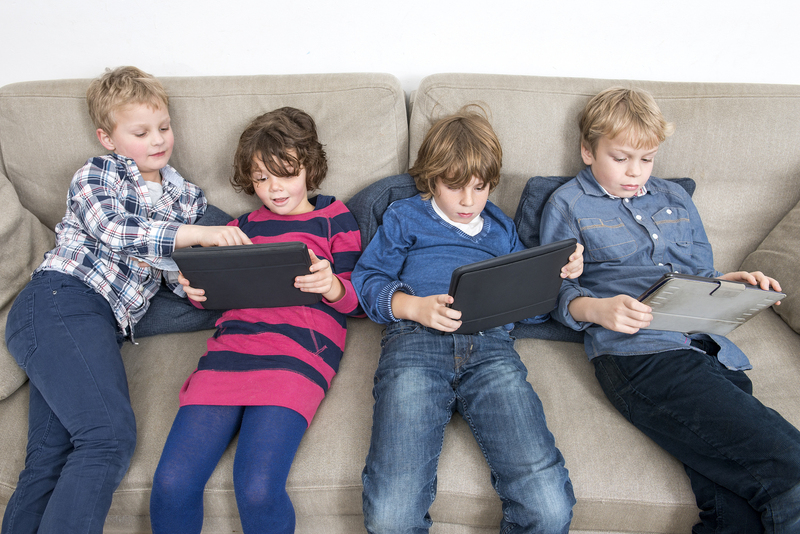 The Impact of screen time on children from the Australian Spinal Research Foundation. Parents’ smartphones harming children’s ability to hold conversation, say teachers. Today we are excited to bring to you our first food blogger contribution, by the wonderfully talented Lina J from The Lebanese Plate. Lina started off her working career very much like me, as an English/History teacher, until life threw her in a different direction and she took up photography and combined this with her love of good food. The Lebanese Plate is partly about food photography, partly food styling & certainly a lot to do with sharing her love for this cuisine. But overall, the main concept came from wanting to hang on to a special part of her Lebanese heritage, and fusing it with her Australian identity. Her first contribution to The Modest Life is a perfect example of this… Enjoy! Trying to please the whole family when it comes to mealtime isn’t the easiest of tasks. Over the years I’ve had a crack at many tricks, sneaky ones and some not so subtle, to get my kids to eat what I cook. I’m also not ashamed to say I’ve used bribery! ‘No dinner, no dessert,’ is not one that I use often, but it ALWAYS works, even now with my three eldest at age 15, 12 and 10! What I’ve never subscribed to, though, is a ‘cook more than one meal so everyone is happy’ type of approach. And really I’ve never had time to do just that. Instead I’ve grown to be a strong believer in the rules on the sign below (an actual sign that you’ll find hanging on my kitchen wall!). This is what my kids have become accustomed to and although they may still resist sometimes, they will eat what’s put in front of them. Now before you judge me and say, ‘yeah right’, I’m making this up, they can’t possibly eat everything you cook! Well, in short the answer is yes, they do. Not because they were touched by some positive eating fairy and certainly not because they’re perfect kids but because after many bouts of tears and tantrums at the table, they realised that ‘no substitutions’ and ‘no complaining’ was the only way. It wasn’t easy. It did take a lot of hard work and an abundance of patience over years, not weeks or months! Nowadays, my ‘tricks’ have changed. They’re a bit older with a more ‘Mum, you can’t fool me’ attitude. So I try to be a bit more creative to get them interested and excited about the meal. I get them in the kitchen as much as possible too, where they help with the prep and cooking, which I find always works. And, of course, I now know what’s going to be a winner, so I try to cook those meals on a regular basis. Some of the ‘winners’ at my place are burritos, most things kafta, meat pies and the good old flaky, meaty sausage rolls. The humble Aussie sausage roll…or is it? With a quick ‘googling’ I quickly realised that the Aussie sausage roll is not authentically Aussie! Say what? Yep, the sausage roll actually came over from Britain. This is perfectly ok, of course, being the loving and diverse Nation we are, we welcomed her in with open arms and accepted her as one of our own. I don’t mind a good sausage roll, but personally I’ve never really liked a packaged one. I always wonder what’s packed into the meat filling that usually tastes bland unless it’s drenched in tomato sauce (side note: meat pies and sausage rolls, the only times where drenching with tomato sauce is forgivable haha). So I always try and make my own. Naturally, me being me, I decided to turn the sausage roll on it’s flaky head and give it a Lebanese touch. In this recipe I use chicken mince and added Lebanese flavours, which the whole family really enjoyed. I hope your family does too! 1. Remove puff pastry sheets from freezer. 2. Preheat your oven to 200ºC and line two oven trays with baking paper. 3. Place thigh & breast mince into a large bowl with the chopped onion, chopped capsicum, salt, baharat, pepper, parsley, breadcrumbs & 2 eggs. 4. Mix to combine all ingredients really well. 5. One at a time, cut a pastry sheet in half. Take approximately ½ cup of the mince mixture and spread it out evenly across long side of pastry sheet. 6. Roll up to enclose filling, and cut into 3 pieces (about 8cm in length). 7. Place each roll on oven tray about 2cm apart. 8. Beat remaining egg and brush tops and sprinkle with a little of the poppy seeds. 9. Bake at 200º for about 20 minutes. Reduce heat to 180º and bake for a further 5 – 10 minutes. Sausage rolls should be golden brown, crispy and filling cooked through. Enjoy with tomato sauce or a Sumac Yoghurt (1 cup greek yoghurt mixed with one teaspoon of sumac). Before I became a parent, I would listen to other parents talk about and discuss their children with others. I would listen to them with trepidation and what eventually become anger and sadness at the way these parents would talk about their children to other people, sometimes relatives, sometimes colleagues, sometimes strangers. They would all try to top the other parent’s story about how bad their children were, about the bad habits of their children. To me, it sounded exaggerated, unnecessary and incredibly, spiteful. It sounded a lot like backbiting. Fast-forward a few years and I now have children of my own, and without even noticing, I have begun to speak about my own children in this manner as well. Often when people ask me about how my kids are, I find that I roll my eyes and sigh and launch into the latest thing that they did to frustrate me. Like in my last post here. Is this what we’ve come to? Whinging and complaining about our kids to gain the most sympathy? There is a BIG difference between simply complaining and essentially backbiting the worst of our children, and discussing a bad habit that our child has with the sincere intention to seek help and advice, or to simply off load to a fellow trusted friend in a concerned manner about the difficulties in raising children. I think we need to ask ourselves how we would feel if our children, when they grew up, went around complaining and whinging to their friends about OUR bad habits, which let’s face it, they DO SEE. The reality is that our children do have their own dignity, and that they have as much right as we do for that dignity to be upheld. They have the right to trust their parents to protect them and their self-worth, and not lay out their difficult traits in a degrading manner to anyone outside (or even inside) the family. Before we open our mouths to discuss our children with others, let’s take a minute to think about what our intentions are, and in whether what we are about to say is a hurtful thing to say about our children. And most importantly, let’s not only take the time to remember all our children’s beautiful positive traits, but to acknowledge that our children will not be perfect, that they are essentially CHILDREN who are learning and growing, and in this process, they will make mistakes. And that’s ok, because let’s face it, we are supposed to be the ‘adults’ and we make mistakes too. *Please do not use image without permission of The Modest Life. Today, I’m struggling. I’m struggling with this whole parenting thing. I am doubting my ability to be a good mother to my two daughters. The fact that I am now expecting baby no. 3 is freaking. Me. OUT. When I tell people that I’ll have 3 kids under 5, they physically shudder, or shake their heads. Or tell me that it’s going to be sheer insanity. That I won’t leave the house for about five years. That 3 is the hardest number. So yeah, I’m scared. Was I planning to have 3 under the age of 5? No. No I wasn’t. And I know that that has made it more difficult for me to mentally cope with this reality. But recently I had a pregnancy scare, and as I lay in the birthing ward waiting for the doctor, my two previous births in this same hospital came rushing back to me. I looked over to the bassinet and felt excited to experience the joy of welcoming a new baby into the world again. I felt honoured to be blessed with this opportunity. And just when I had these sentiments, I heard the first cry of a new baby being born in another room. I heard the midwives in the ward exclaim gleefully and happily that baby was finally born, and I felt privileged to share this moment with an unknown, unseen mother. Thankfully, everything was fine and I was able to go home. I left the hospital in gratitude and excited at the prospect of welcoming a new baby, a new person into our family. I felt reassured that I could give birth again, because let’s face it, once you’ve been through labour, you spend all subsequent pregnancies in a state of sheer terror of D-Day, the “D” representing both ‘Delivery day’ and ‘Dooms day’. Ignorance is bliss when it comes to labour and birth, and by the end of your first pregnancy you just want to get it out of the way, because you have NO IDEA HOW PAINFUL LABOUR IS. With baby no 2, and 3 and so on, you live in utter fear of the pain of labour, counting down the days with quaking legs and waking up from nightmares of that pain. That was around a week ago. This morning I woke up from a night of fitful sleep, a sleep interrupted by the baby kicking me from the inside, from the almost two-year-old who didn’t want to sleep in her own bed and kept waking up, from scream-out-loud they’re so painful leg cramps. I dressed the kids when they woke at 6:30am, and settled them for a quick breakfast of cereal, while I prepared my own tea and toast, and before long, my eldest had spilt milk all over her dress, stockings, chair and floor. She just stood by her chair. I continued to yell as I cleaned her up, then told her to go and change her stockings. Then Z (my little one) decided that she wanted to take off her stockings as well, and proceeded to have a tantrum when I didn’t let her. Once that debacle finally settled, Z decided she didn’t want cereal, but chocolate instead and made her way to the pantry and pointed to the highest shelf where she knew the chocolate was kept. I said no. Can anyone hazard a guess as to what happened next? Yep. More tantrums from her and more yelling from me. I picked her up and tried to physically restrain her over my extremely large, larger than usual as most people took their leisure to tell me, almost-28-week pregnant belly. I got them to sit on the couch and read some books while I drank my tea at the table and ate a piece of toast whilst getting lost in my phone. Because #badparenting. No sooner had I gotten through half of my toast, fighting ensued between the girls because Z wanted to read whichever book her older sister was reading. I ambled over to the couch to attempt at negotiating peace between the two when I noticed that Z had picked up the can of drink my husband left on the couch last night and was happily chugging through what remained (which really wasn’t much). LAST STRAW. I snatched that can, squashed it in my fist and launched it across the living room, the remaining liquid in it sloshing the rug and couches as it sailed through the air. Z started crying at my reaction, and I sat on the couch surrounded by toys, food particles, sticky soft drink remains, one crying toddler, another deflated elder daughter, one baby inside furiously kicking me, and me… Not a shred of dignity left, not a shred of confidence in my parenting ability left, absolutely and completely OVER IT with that overwhelming guilt washing over me. I can’t do this. I just cannot do this. And OMG, I’ve just read over this and cannot stop laughing. I can’t stop laughing at the hilarity of all that I’m describing, but I’m also crying at the same time because it’s actually just ridiculous and I know it’s probably not that bad, but also that I am currently deep in the trenches of parenthood . You know when you speak to parents of older children and you lament on the difficulty of smaller kids, and they shoot back with “oh that is NOTHING. WAIT till they’re TEENAGERS. I WISH my kids were BABIES AGAIN” and you just want to push them off a cliff (is that too sadistic?) because no matter what you do or say you can’t convey to them your sheer tiredness and lack of energy at trying to raise more than one highly irrational and illogical human being who wants to be with you ALL THE TIME while you try to do something for yourself outside of them, you know, BE SOMETHING besides “JUST” a mother? And I need to hear from you fellow mothers, how are you coping? How do you keep sane? How do you not drown in self-doubt? *Images taken by my dearest friend Zahrah of Love by Lah’za. Please do not use without permission of The Modest Life. When it comes to children’s clothing I have a strong belief that they should be dressed age-appropriate. I don’t like the current trend of kid’s clothing that simply mimics adult’s clothing. Don’t get me wrong, I love a trench coat on a kid as much as the next person, but body-con mini-dresses with cut outs for a 5 year old? Hell no. But dresses in muted pastel tones with beautiful embroidery, in a baby-doll style, with a longer skirt made especially for twirling and in pretty floral prints? Yes, please. Below are my favourite dresses for little girls, dresses to walk barefoot in emerald grass, to pick flowers in, to twirl around the house, to play with dolls whilst singing to themselves, to read books, and climb trees, to care for their younger siblings in, to live the wonderment of that dewy, magical and much too short phase that is childhood. It’s been a busy week for me and mine… Eid came and went last week, it was my mum’s, brother-in-law’s and his wife’s birthday (all on the same day! ), hospital appointments, surprise birthday brunches, classes at the Al-Ghazzali Centre and heading to my local Farmer’s Market for the first time in months. How was your week? How do you spend Eid with your family and friends? Peg + Cat aired a special Eid ul-Adha episode and it looks awesome. Yay DIVERSITY! And on that note, here is a great infographic on the lack of diversity in children’s books. So here is a link with children’s books that feature kids of colour being themselves. Because that’s enough. And another link with a list of 5 books that help you raise a globally minded child. Speaking of diversity in print and publication, how brilliant was it to see Susan Carland featured in the Sunday Life magazine? A poignant reflection on how mentoring can help mobilise children to positive action, to give them opportunities for more holistic learning opportunities beyond books and the classroom. Featured image taken by Saltanat (Editor of TML). Eid Mubarak everyone! This is that time that we’re celebrating Eid ul-Adha, which centres on the story of Ibrahim (peace be upon him) and his sacrifice of a sheep in place of his son, Ismail, as Allah commanded. My teacher and Imam spoke about the significance and the lesson in this particular Eid just days ago, and I wanted to share it with my children somehow. Essentially, this Eid is about the sacrifices that we make in the way of Allah. And whilst it is obligatory upon us to give Sadaqa (charity) during this celebration, mainly either meat or the value of slaughtering an animal to give to the poor, it is also a reminder of the nature of giving and sacrifice in general. We must give of ourselves to benefit others. Whether it be our time, our wealth, our aid or our skills, we must ask ourselves, what is our Ismail? What is it that we are sacrificing, giving to others, in the way of Allah? And in what manner are we doing this? Do we hesitate? Do we overthink the matter? Do we give $20 to the person in need when we have $100 in our wallet, or do we give it all? Neither Ibrahim nor Ismail (peace be upon them both) hesitated, or flinched, in carrying out the command of Allah. They did so with certitude of Love for Allah. I really wanted to pass this lesson onto my eldest daughter (my little one is not two years old yet), so I decided to create a ‘Giving Tree’ for her. The concept of the tree is that we write down things that we think we should be giving to others, and hang it on the tree to remain in our house during the Eid period as a reminder. J (my eldest) has been struggling with sharing lately, especially with her little sister, who obviously wants everything that her older sister has. So when putting the tree together we spoke about how it was important to share, to give what we love to others, like to her younger sister. And whilst we may be left with what may seem to be nothing, this act of giving and sacrificing will please Allah, so ultimately, we are in reality given the greatest gift in return, the love of Allah. As for how we put it together, I foraged some blossoms from a park in my suburb, trimmed the ends and arranged them in a garden pot with some florist’s foam. The “Eid Mubarak” sign is the one we used last Eid, from Nayma.Co. I used some glitter tape to stick the sign to the wall. We used gift tags to write down what we wanted to ‘give’ to hang on the branches. This particular character of sacrifice that Eid ul-Adha centres around has made me think about what it is that I sacrifice in the way of Allah. For one, I know that I don’t give enough time to nurture my relationship with Allah, nor do I give enough time to the people around me, such as friends and family, to help them if need be, and to simply be there for them. So my own personal aim is to consciously strive to give more time to these. What is that you would like to sacrifice, to give to others? *Please do not use images without the permission of The Modest Life. With Eid ul-Adha literally around the corner (it’s tomorrow! ), we’ve rounded up some beautiful decor ideas for your home, or family Eid dinner/lunch. Lots of soft lighting to create atmosphere, touches of ethnic textiles, lanterns, gold foil balloons and floor seating make for the perfect home decor for Eid without being tacky, or without trying too hard. So keep an eye out for it, and until then, Eid Mubarak! Featured image via Design Love Fest.